Tadpoles are easy to rig! All you need is a hook and a split shot, but other common rigging methods are pictured below. Using a collarless jig head is simple, easy and effective. 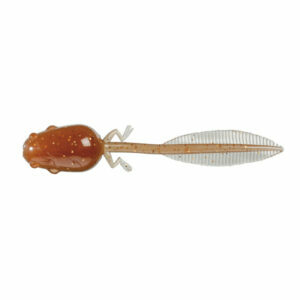 Many tadpoles customers use the tadpoles on a drop shot rig. Any hook & sinker combination will work great! A Gamakatsu G-Lock #1 hook put through the tail shaft will create a somewhat weedless model. This method will reduce the total life of the bait, but should easily go over 20 catches.